Efficacy of Liuzijue Qigong in Individuals with Chronic Obstructive Pulmonary Disease in Remission. J Am Geriatr Soc. 2015 Jul 1. [Epub ahead of print] by Xiao CM, Zhuang YC. 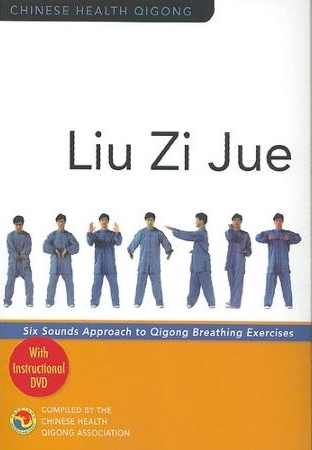 OBJECTIVES: To investigate the effectiveness of a 6-month Liuzijue qigong (LQG) program in promoting physical and psychosocial function in individuals with chronic obstructive pulmonary disease (COPD). DESIGN: Single-blind, randomized controlled trial. SETTING: Seven hospital respiratory care centers in Beijing. PARTICIPANTS: Individuals with COPD (N = 126; mean age 71.1 ± 2.7, range 65-85). METHODS: Participants were randomly assigned to one of two groups: LQG (n = 63) and control (n = 63). Subjects in the LQG group received a LQG program consisting of four 45-minute sessions each week and daily walking for 30 minutes for 6 months. Control subjects walked daily for 30 minutes. Data collection was performed at baseline, at 6 weeks, and at 6 months. Primary outcomes involved functional capacity, and secondary outcomes involved quality of life. RESULTS: The LQG group had greater improvements in the 6-minute walk test (P = .02); specific airway conductance (P = .02); monitored functional task evaluation (P = .04); Medical Outcomes Study 36-item Short-Form Health Survey (SF-36; general health (P < .001), mental health (P = .03)); Chronic Respiratory Questionnaire (dyspnea (P = .05), emotion (P = .05), and mastery (P = .04) at 6-month follow-up. After 6 months, the control group had significant improvement only on the SF-36 mental health (P = .02). CONCLUSION: LQG promoted functional capacity and quality of life in older adults with COPD at 6 months and is a good alternative home exercise program for older adults in the rehabilitation of COPD. The Effect of a Meditative Movement Intervention on Quality of Sleep in the Elderly: A Systematic Review and Meta-Analysis. J Altern Complement Med. 2015 Jun 29. [Epub ahead of print] by Wu WW, Kwong E, Lan XY, Jiang XY. BACKGROUND/OBJECTIVES: Sleep disorders are one of the most common difficulties facing older people. Meditative movement interventions (MMIs), a new category of exercise integrating physical activity and meditation (e.g., t’ai chi, yoga, and qigong), may benefit older people with sleep problems. This systematic review synthesized the evidence on the effect of MMIs on older people’s quality of sleep. METHODS: PubMed, EMBASE, CINAHL, PsycINFO, Scopus, the Cochrane Library, the China Science and Technology Journal Database (CSTJ) and the China National Knowledge Infrastructure (CNKI) were searched-from 1950 to March 2014-for randomized controlled trials. Articles were screened and selected by two researchers. Data were extracted from the included studies using specified forms. The same researchers independently evaluated the quality of each article. A meta-analysis was conducted to examine the pooled effect of MMI on sleep quality compared with the control groups. RESULTS: Fourteen of 1049 studies were included, involving 1225 participants. 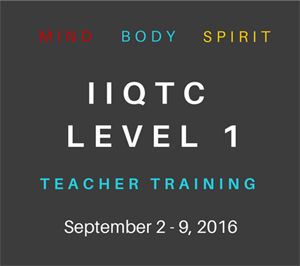 Interventions included t’ai chi, yoga, qigong, and multicomponent MMI and lasted 12-24 weeks. Ten studies had a low risk of bias. The interventions resulted in significantly better sleep quality scores than either active therapy or usual care/wait-list controls (standardized mean difference, -0.70;95% confidence interval, -0.96 to -0.43). Subgroup analyses revealed that the effect of MMI on sleep quality was not influenced by the type or duration of the intervention. However, pooled results of studies with intervention frequency of fewer than 3 times per week did not show a positive effect on sleep quality. Lower-quality studies had larger effect sizes than high-quality studies. No adverse events were reported. CONCLUSION: The current review demonstrated that MMI had a moderate effect on improving the quality of sleep for older people with sleep complaints. However, the evidence is inconclusive because of the varying study quality and MMI modalities. This study highlights the need for higher-quality randomized, controlled trials and more sufficient fidelity of intervention implementation to confirm the results. It also highlights the need for comparing the effectiveness of MMI on different subgroups of the elderly population. Mindfulness Meditation Improves Mood, Quality of Life, and Attention in Adults with Attention Deficit Hyperactivity Disorder. Biomed Res Int. 2015; 2015:962857. By Bueno VF, Kozasa EH, da Silva MA, et al. Objective. Adults with attention deficit hyperactivity disorder (ADHD) display affective problems and impaired attention. Mood in ADHD can be improved by mindful awareness practices (MAP), but results are mixed regarding the enhancement of attentional performance. Here we evaluated MAP-induced changes in quality of life (QoL), mood, and attention in adult ADHD patients and controls using more measures of attention than prior studies. Methods. Twenty-one ADHD patients and 8 healthy controls underwent 8 weekly MAP sessions; 22 similar patients and 9 controls did not undergo the intervention. Mood and QoL were assessed using validated questionnaires, and attention was evaluated using the Attentional Network Test (ANT) and the Conners Continuous Performance Test (CPT II), before and after intervention. Results. MAP enhanced sustained attention (ANT) and detectability (CPT II) and improved mood and QoL of patients and controls. Conclusion. MAP is a complementary intervention that improves affect and attention of adults with ADHD and controls. Mindfulness-based stress reduction for healthy individuals: A meta-analysis. J Psychosom Res. 2015 Mar 20. By Khoury B, Sharma M, Rush SE, Fournier C.
BACKGROUND: An increasing number of mindfulness-based stress reduction (MBSR) studies are being conducted with nonclinical populations, but very little is known about their effectiveness. OBJECTIVE: To evaluate the efficacy, mechanisms of actions, and moderators of MBSR for nonclinical populations. DATA SOURCES: A systematic review of studies published in English journals in Medline, CINAHL or Alt HealthWatch from the first available date until September 19, 2014. STUDY SELECTION: Any quantitative study that used MBSR as an intervention, that was conducted with healthy adults, and that investigated stress or anxiety. RESULTS: A total of 29 studies (n=2668) were included. Effect-size estimates suggested that MBSR is moderately effective in pre-post analyses (n=26; Hedge’s g=.55; 95% CI [.44, .66], p<.00001) and in between group analyses (n=18; Hedge’s g=.53; 95% CI [.41, .64], p<.00001). The obtained results were maintained at an average of 19weeks of follow-up. Results suggested large effects on stress, moderate effects on anxiety, depression, distress, and quality of life, and small effects on burnout. When combined, changes in mindfulness and compassion measures correlated with changes in clinical measures at post-treatment and at follow-up. However, heterogeneity was high, probably due to differences in the study design, the implemented protocol, and the assessed outcomes. CONCLUSIONS: MBSR is moderately effective in reducing stress, depression, anxiety and distress and in ameliorating the quality of life of healthy individuals; however, more research is warranted to identify the most effective elements of MBSR. Qigong for hypertension: a systematic review. Medicine (Baltimore). 2015 Jan;94(1):e352. By Xiong X, Wang P, Li X, Zhang Y. 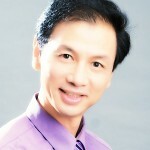 The purpose of this review was to evaluate the efficacy and safety of qigong for hypertension.A systematic literature search was performed in 7 databases from their respective inceptions until April 2014, including the Cochrane Library, EMBASE, PubMed, Chinese Scientific Journal Database, Chinese Biomedical Literature Database, Wanfang database, and Chinese National Knowledge Infrastructure. Randomized controlled trials of qigong as either monotherapy or adjunctive therapy with antihypertensive drugs versus no intervention, exercise, or antihypertensive drugs for hypertension were identified. The risk of bias was assessed using the tool described in Cochrane Handbook for Systematic Review of Interventions, version 5.1.0.Twenty trials containing 2349 hypertensive patients were included in the meta-analysis. The risk of bias was generally high. Compared with no intervention, qigong significantly reduced systolic blood pressure (SBP) (weighted mean difference [WMD] = -17.40 mm Hg, 95% confidence interval [CI] -21.06 to -13.74, P < 0.00001) and diastolic blood pressure (DBP) (WMD = -10.15 mm Hg, 95% CI -13.99 to -6.30, P < 0.00001). Qigong was inferior to exercise in decreasing SBP (WMD = 6.51 mm Hg, 95% CI 2.81 to 10.21, P = 0.0006), but no significant difference between the effects of qigong and exercise on DBP (WMD = 0.67 mm Hg, 95% CI -1.39 to 2.73, P = 0.52) was identified. Compared with antihypertensive drugs, qigong produced a clinically meaningful but not statistically significant reduction in SBP (WMD = -7.91 mm Hg, 95% CI -16.81 to 1.00, P = 0.08), but appeared to be more effective in lowering DBP (WMD = -6.08 mm Hg, 95% CI -9.58 to -2.58, P = 0.0007). Qigong plus antihypertensive drugs significantly lowered both SBP (WMD = -11.99 mm Hg, 95% CI -15.59 to -8.39, P < 0.00001) and DBP (WMD = -5.28 mm Hg, 95% CI, -8.13 to -2.42, P = 0.0003) compared with antihypertensive drugs alone. No serious adverse events were reported.The meta-analysis suggests that qigong is an effective therapy for hypertension. However, more rigorously designed randomized controlled trials with long-term follow-up focusing on hard clinical outcomes are required to confirm the results. Qigong exercise alleviates fatigue, anxiety, and depressive symptoms, improves sleep quality, and shortens sleep latency in persons with chronic fatigue syndrome-like illness. Evid Based Complement Alternat Med. 2014; 2014:106048. By Chan JS, Ho RT, Chung KF, et al. Objectives. To evaluate the effectiveness of Baduanjin Qigong exercise on sleep, fatigue, anxiety, and depressive symptoms in chronic fatigue syndrome- (CFS-) like illness and to determine the dose-response relationship. Methods. 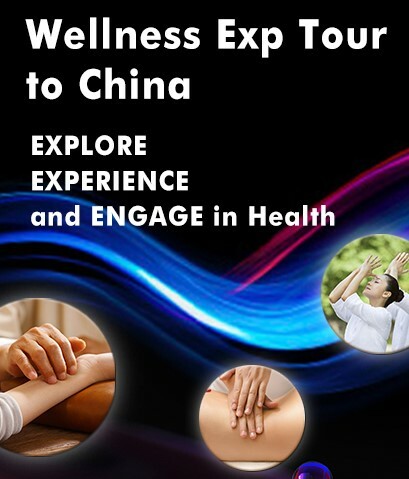 One hundred fifty participants with CFS-like illness (mean age = 39.0, SD = 7.9) were randomly assigned to Qigong and waitlist. 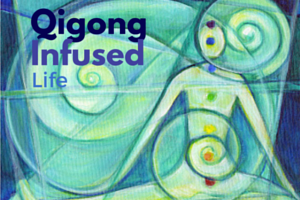 Sixteen 1.5-hour Qigong lessons were arranged over 9 consecutive weeks. Pittsburgh Sleep Quality Index (PSQI), Chalder Fatigue Scale (ChFS), and Hospital Anxiety and Depression Scale (HADS) were assessed at baseline, immediate posttreatment, and 3-month posttreatment. 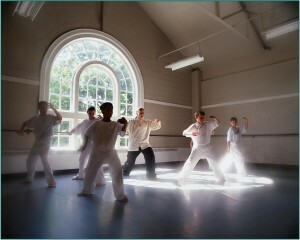 The amount of Qigong self-practice was assessed by self-report. Results. Repeated measures analyses of covariance showed a marginally nonsignificant (P = 0.064) group by time interaction in the PSQI total score, but it was significant for the “subjective sleep quality” and “sleep latency” items, favoring Qigong exercise. Improvement in “subjective sleep quality” was maintained at 3-month posttreatment. Significant group by time interaction was also detected for the ChFS and HADS anxiety and depression scores. The number of Qigong lessons attended and the amount of Qigong self-practice were significantly associated with sleep, fatigue, anxiety, and depressive symptom improvement. Conclusion. Baduanjin Qigong was an efficacious and acceptable treatment for sleep disturbance in CFS-like illness. The effects of a 6-month Tai Chi Qigong training program on temporomandibular, cervical, and shoulder joint mobility and sleep problems in nasopharyngeal cancer survivors. Integr Cancer Ther. 2015 Jan;14(1):16-25. By Fong SS, Ng SS, Lee HW, et al. INTRODUCTION: Nasopharyngeal cancer (NPC) survivors often sustain head-neck-shoulder impairments from conventional treatments, which could disturb sleep. This novel study aimed to examine the efficacy of Tai Chi (TC) Qigong in optimizing temporomandibular joint (TMJ), cervical, and shoulder joint mobility and reducing sleep problems in NPC survivors. METHODS: Fifty-two NPC survivors participated in the study. 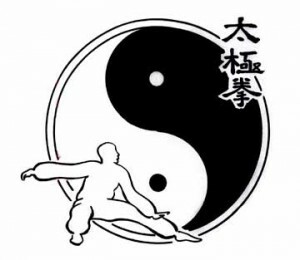 The experimental group (n = 25) received 6 months of TC Qigong training (1.5 h/session; 4 sessions/wk including self-practice) while the control group (n = 27) received no training. Cervical side flexion and rotation, shoulder flexion and horizontal flexion range of motion (ROM), mouth opening capacity (interincisor distance), and sleep problems (Medical Outcomes Study Sleep Scale) were assessed at baseline, mid-intervention (3 months), immediately after TC Qigong training, and at 6-month follow-up. RESULTS: Intention-to-treat analysis revealed improvement in cervical side flexion ROM only (P < .008) and unchanged shoulder and TMJ mobility (P > .008) after the TC Qigong training. Deterioration was observed in shoulder flexion ROM and mouth opening capacity in the no-training controls over time (P < .008). Sleep problems also decreased in the TC Qigong group (P < .008), and this effect was most profound during the follow-up period. In addition, improvement in cervical side flexion ROM was associated with a reduction in sleep problems in the experimental group after TC Qigong training (P < .05). 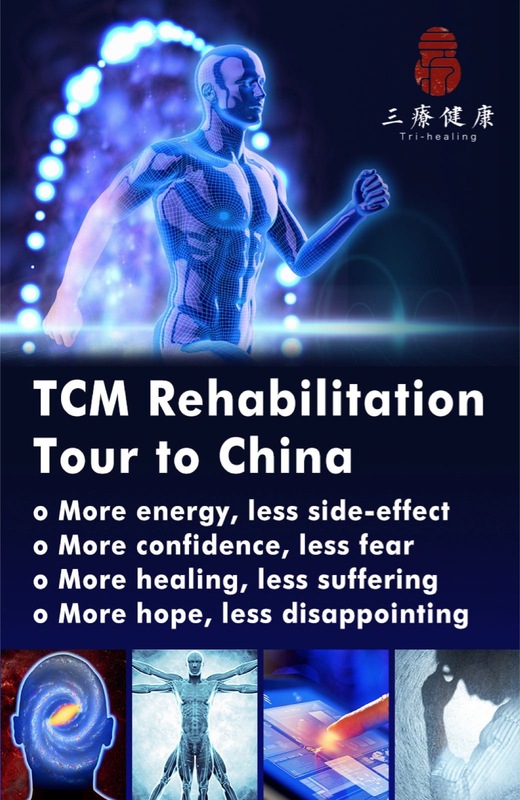 CONCLUSIONS: The 6-month TC Qigong intervention improved neck mobility, maintained TMJ and shoulder joint mobility, and reduced sleep problems for NPC survivors. TC Qigong could be an effective nonpharmacological intervention for managing progressive trismus, chronic neck and shoulder hypomobility, and reducing sleep problems among NPC survivors. The Kuala Lumpur Qigong trial for women in the cancer survivorship phase-efficacy of a three-arm RCT to improve QOL. Asian Pac J Cancer Prev. 2014;15(19):8127-34. 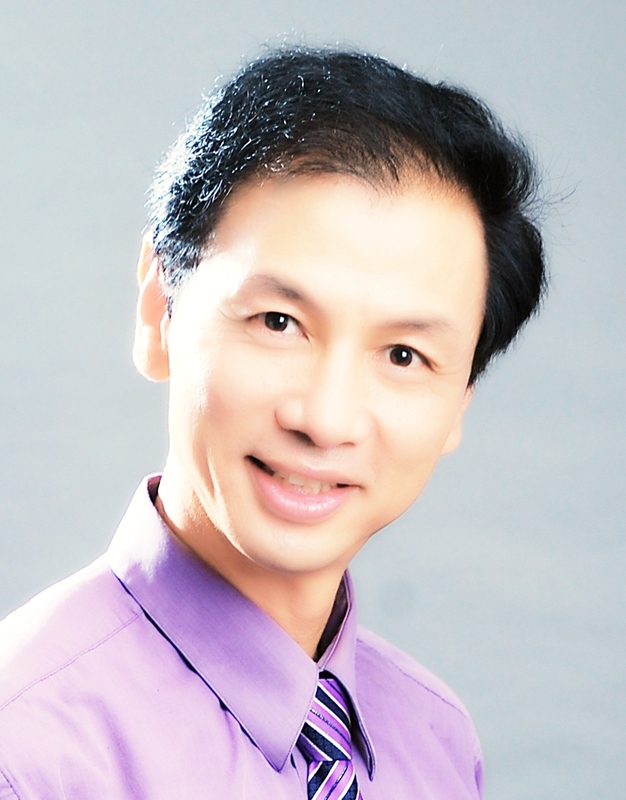 By Loh SY, Lee SY, Murray L.
BACKGROUND: Qigong is highly favoured among Asian breast cancer survivors for enhancing health. This study examined the hypothesis that quality of life (QoL) in the Qigong group is better than the placebo (aerobic) or usual care group. 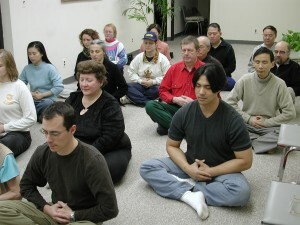 MATERIALS AND METHODS: A total of 197 participants were randomly assigned to either the 8-week Kuala Lumpur Qigong Trial or control groups in 2010-2011. Measurement taken at baseline and post- intervention included QoL, distress and fatigue. Analysis of covariance (ANCOVA) and Kruskal Wallis were used to examine for differences between groups in the measurements. RESULTS: There were 95 consenting participants in this 8week trial. The adherence rates were 63% for Qigong and 65% for the placebo group. The Qigong group showed significant marginal improvement in Quality of life scores compared to placebo (mean difference=7.3 unit; p=0.036), compared to usual care (mean difference=6.7 unit; p=0.048) on Functional Assessment Cancer Therapy-Breast measure. There were no significant changes between the placebo and usual care groups in fatigue or distress at post intervention (8-week). CONCLUSIONS: Cancer survivors who participated in the Qigong intervention showed slightly better QOL. 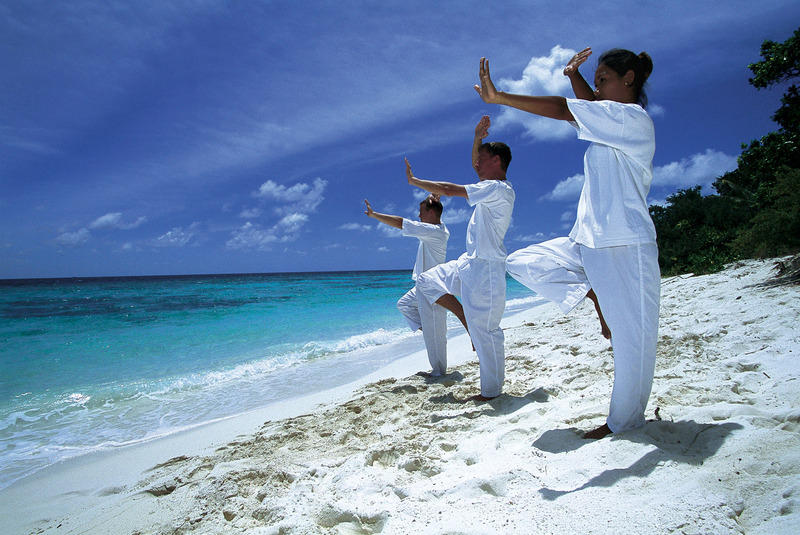 Follow up studies are greatly needed to evaluate which subgroups may best benefit from Qigong. With a steep rise of cancer survivors, there is an urgent need to explore and engage more cultural means of physical activity to fight side effects of treatment and for cancer control in developing countries. 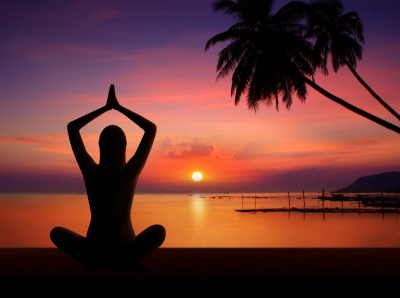 Effects of yoga on brain waves and structural activation: A review. Complement Ther Clin Pract. 2015 Mar 9. By Desai R, Tailor A, Bhatt T.
Previous research has shown the vast mental and physical health benefits associated with yoga. Yoga practice can be divided into subcategories that include posture-holding exercise (asana), breathing (pranayama, Kriya), and meditation (Sahaj) practice. Studies measuring mental health outcomes have shown decreases in anxiety, and increases in cognitive performance after yoga interventions. Similar studies have also shown cognitive advantages amongst yoga practitioners versus non-practitioners. The mental health and cognitive benefits of yoga are evident, but the physiological and structural changes in the brain that lead to this remain a topic that lacks consensus. Therefore, the purpose of this study was to examine and review existing literature on the effects of yoga on brain waves and structural changes and activation. After a narrowed search through a set of specific inclusion and exclusion criteria, 15 articles were used in this review. It was concluded that breathing, meditation, and posture-based yoga increased overall brain wave activity. Increases in graygray matter along with increases in amygdala and frontal cortex activation were evident after a yoga intervention. Yoga practice may be an effective adjunctive treatment for a clinical and healthy aging population. Further research can examine the effects of specific branches of yoga on a designated clinical population. 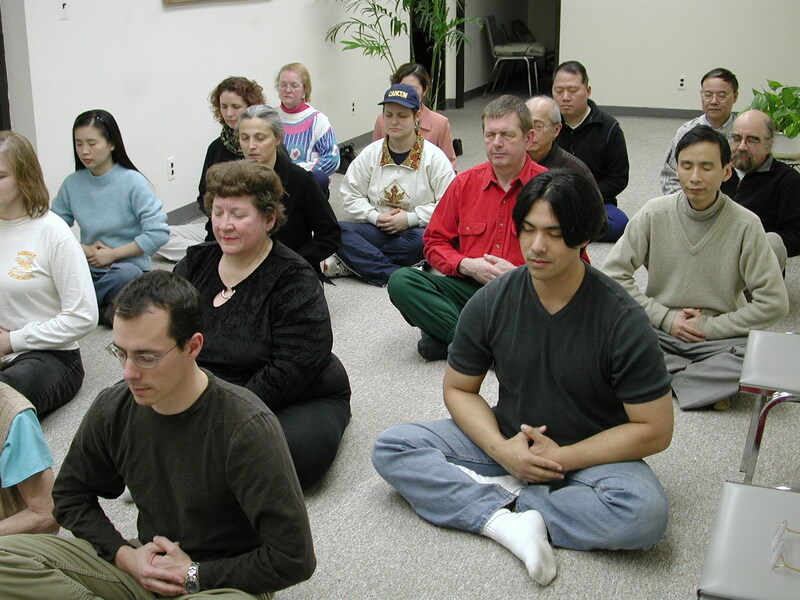 A pilot study: mindfulness meditation intervention in COPD. Int J Chron Obstruct Pulmon Dis. 2015 Mar 2;10:445-54. By Chan RR, Giardino N, Larson JL. Living well with chronic obstructive pulmonary disease (COPD) requires people to manage disease-related symptoms in order to participate in activities of daily living. Mindfulness practice is an intervention that has been shown to reduce symptoms of chronic disease and improve accurate symptom assessment, both of which could result in improved disease management and increased wellness for people with COPD. A randomized controlled trial was conducted to investigate an 8-week mindful meditation intervention program tailored for the COPD population and explore the use of breathing timing parameters as a possible physiological measure of meditation uptake. Results demonstrated that those randomized to the mindful meditation intervention group (N=19) had a significant increase in respiratory rate over time as compared to those randomized to the wait-list group (N=22) (P=0.045). It was also found that the mindful meditation intervention group demonstrated a significant decrease in level of mindfulness over time as compared to the wait-list group (P=0.023). 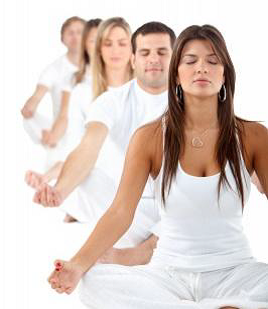 When examining participants from the mindful meditation intervention who had completed six or more classes, it was found that respiratory rate did not significantly increase in comparison to the wait-list group. Furthermore, those who completed six or more classes (N=12) demonstrated significant improvement in emotional function in comparison to the wait-list group (P=0.032) even though their level of mindfulness did not improve. This study identifies that there may be a complex relationship between breathing parameters, emotion, and mindfulness in the COPD population. The results describe good feasibility and acceptability for meditation interventions in the COPD population. Yoga and meditation for menopausal symptoms in breast cancer survivors-A randomized controlled trial. Cancer. 2015 Mar 4. doi: 10.1002/cncr.29330 by Cramer H, Rabsilber S, Lauche R, Kümmel S, Dobos G.
BACKGROUND: Breast cancer survivors have only very limited treatment options for menopausal symptoms. The objective of this trial was to evaluate the effects of a 12-week traditional Hatha yoga and meditation intervention on menopausal symptoms in breast cancer survivors. METHODS: Patients were randomly assigned either to a 12-week yoga and meditation intervention or to usual care. The primary outcome measure was total menopausal symptoms (Menopause Rating Scale [MRS] total score). Secondary outcome measures included MRS subscales, quality of life (Functional Assessment of Cancer Therapy-Breast), fatigue (Functional Assessment of Chronic Illness Therapy-Fatigue), depression, and anxiety (Hospital Anxiety and Depression Scale). Outcomes were assessed at week 12 and week 24 after randomization. RESULTS: In total, 40 women (mean age ± standard deviation, 49.2 ± 5.9 years) were randomized to yoga (n = 19) or to usual care (n = 21). Women in the yoga group reported significantly lower total menopausal symptoms compared with the usual care group at week 12 (mean difference, -5.6; 95% confidence interval, -9.2 to -1.9; P = .004) and at week 24 (mean difference, -4.5; 95% confidence interval, -8.3 to -0.7; P = .023). At week 12, the yoga group reported less somatovegetative, psychological, and urogenital menopausal symptoms; less fatigue; and improved quality of life (all P < .05). At week 24, all effects persisted except for psychological menopausal symptoms. Short-term effects on menopausal symptoms remained significant when only women who were receiving antiestrogen medication (n = 36) were analyzed. Six minor adverse events occurred in each group. CONCLUSIONS: Yoga combined with meditation can be considered a safe and effective complementary intervention for menopausal symptoms in breast cancer survivors. The effects seem to persist for at least 3 months. 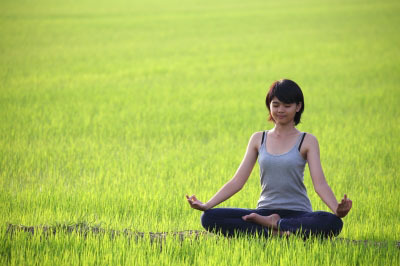 Meditation Interventions for Chronic Disease Populations: A Systematic Review. J Holist Nurs. 2015 Mar 2. [Epub ahead of print] by Chan RR, Larson JL. The rapidly growing body of research regarding the use of meditation interventions in chronic disease presents an opportunity to compare outcomes based on intervention content. For this review, meditation interventions were described as those interventions delivered to persons with chronic disease where sitting meditation was the main or only content of the intervention with or without the addition of mindful movement. This systematic review identified 45 individual research studies that examined meditations effect on levels of anxiety, depression, and chronic disease symptoms in persons with chronic disease. Individual studies were assessed based on interventional content, the consistency with which interventions were applied, and the research quality. This study identified seven categories of meditation interventions based on the meditation skills and mindful movement practices that were included in the intervention. Overall, half of the interventions had clearly defined and specific meditation interventions (25/45) and half of the studies were conducted using randomized control trials (24/45). Tai chi chuan exercise for patients with breast cancer: a systematic review and meta-analysis. Evid Based Complement Alternat Med. 2015;2015:535237. By Pan Y, Yang K, Shi X, Liang H, Zhang F, Lv Q. Objective: Tai Chi Chuan (TCC) is a form of aerobic exercise that may be an effective therapy for improving psychosomatic capacity among breast cancer survivors. This meta-analysis analyzed the available randomized controlled trials (RCTs) on the effects of TCC in relieving treatment-related side effects and quality of life in women with breast cancer. Methods. RCTs were searched in PubMed, Embase, Web of Science, and Cochrane Library through April 2014. Data were analyzed on pathology (pain, interleukin-6, and insulin-like growth factor 1), physical capacity (handgrip, limb physical fitness, and BMI), and well-being (physical, social, emotional, and general quality of life). Results. Nine RCTs, including a total of 322 breast cancer patients, were examined. Compared with control therapies, the pooled results suggested that TCC showed significant effects in improving handgrip dynamometer strength, limb elbow flexion (elbow extension, abduction, and horizontal adduction). No significant differences were observed in pain, interleukin-6, insulin-like growth factor, BMI, physical well-being, social or emotional well-being, or general health-related quality of life. Conclusion. The short-term effects of TCC may have potential benefits in upper limb functional mobility in patients with breast cancer. Additional randomized controlled trials with longer follow-up are needed to provide more reliable evidence. The effects of tai chi in centrally obese adults with depression symptoms. Evid Based Complement Alternat Med. 2015;2015:879712. By Liu X, Vitetta L, Kostner K et al. . This study examined the effects of Tai Chi, a low-impact mind-body movement therapy, on severity of depression, anxiety, and stress symptoms in centrally obese people with elevated depression symptoms. 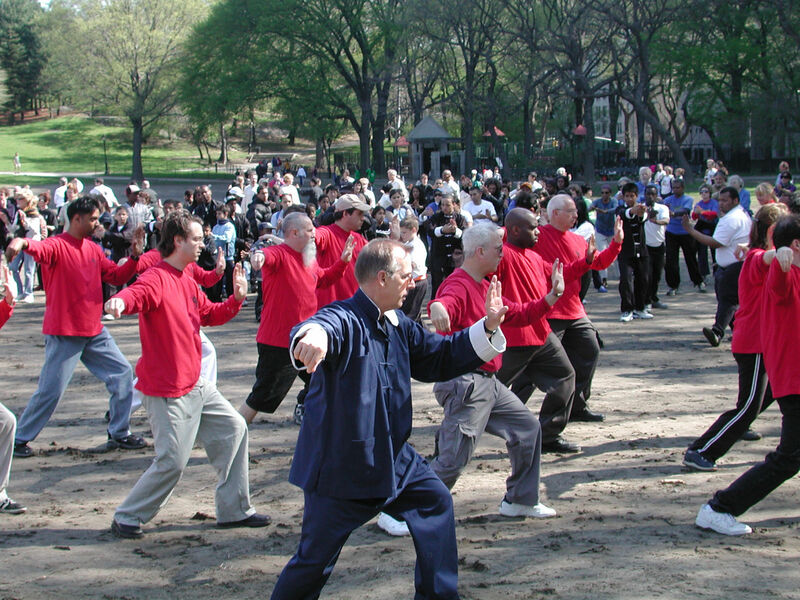 In total, 213 participants were randomized to a 24-week Tai Chi intervention program or a wait-list control group. Assessments were conducted at baseline and 12 and 24 weeks. Outcomes were severity of depression, anxiety, and stress symptoms, leg strength, central obesity, and other measures of metabolic symptom. 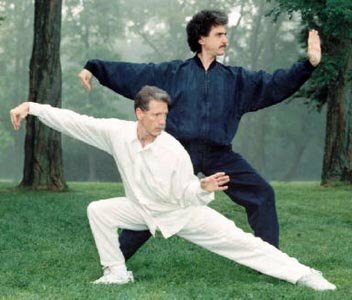 There were statistically significant between-group differences in favor of the Tai Chi group in depression (mean difference = -5.6 units, P < 0.001), anxiety (-2.3 units, P < 0.01), and stress (-3.6 units, P < 0.001) symptom scores and leg strength (1.1 units, P < 0.001) at 12 weeks. These changes were further improved or maintained in the Tai Chi group relative to the control group during the second 12 weeks of follow-up. Tai Chi appears to be beneficial for reducing severity of depression, anxiety, and stress and leg strength in centrally obese people with depression symptoms. More studies with longer follow-up are needed to confirm the findings. This trial is registered with ACTRN12613000010796. A Meta-Analysis on the Efficacy of Tai Chi in Patients with Parkinson’s Disease between 2008 and 2014. Evid Based Complement Alternat Med. 2015;2015:593263. By Zhou J, Yin T, Gao Q, Yang XC. Objective. The purpose of this systematic review is to evaluate the evidence on the effect of Tai Chi for Parkinson’s disease (PD). Methods. Six electronic databases up to June 2014 were searched. The methodological quality was assessed with PEDro scale. Standardised mean difference and 95% confidence intervals of random-effects model were calculated. Results. Nine studies were included in our review. The aggregated results are in favor of Tai Chi on improving motor function (P = 0.002) and balance (P < 0.00001) in patients with PD. However, there is no sufficient evidence to support or refute the value of Tai Chi on improving gait velocity (P = 0.11), stride length (P = 0.21), or quality of life (P = 0.40). 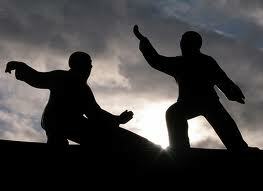 And there is no valid evidence in follow-up effects of Tai Chi for PD. Conclusion. The current results suggest that Tai Chi can significantly improve the motor function and balance in patients with PD, but there is indeed not enough evidence to conclude that Tai Chi is effective for PD because of the small treatment effect, methodological flaws of eligible studies, and insufficient follow-up. Consequently, high-quality studies with long follow-up are warranted to confirm current beneficial findings. Effects of therapeutic Tai Chi on balance, gait, and quality of life in chronic stroke patients. Int J Rehabil Res. 2015 Jan 14. By Kim H, Kim YL, Lee SM. The aim of this study was to analyze the effects of therapeutic Tai Chi on balance, gait, and quality of life in chronic stroke patients. Twenty-two inpatients diagnosed with stroke were divided randomly into two groups: one treated with both general physical therapy and Tai Chi exercise (11 patients) and one treated with only general physical therapy (11 patients). 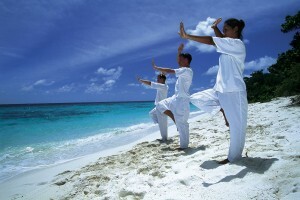 Therapeutic Tai Chi included 10 different movements and was performed for 60 min, twice per week, for 6 weeks. Pretest and post-test measurements were recorded for sway length and sway velocity using Gaitview, the functional reach test, the dynamic gait index, the 10-m walking test, the timed up-and-go test, and SF-36 survey. Both the Tai Chi group and the control group showed a significant improvement in sway length and sway velocity, and the Tai Chi group showed greater improvement than the control group in degree of variation. In addition, only the Tai Chi group showed a significant result for functional reach test, the dynamic gait index, the 10-m walking test, the timed up-and-go test, and the Tai Chi group improved. In the quality of life, the therapeutic Tai Chi group showed a significant improvement in five items (physical function, pain, vitality, general health, mental health) among eight items in SF-36. This study confirmed that therapeutic Tai Chi influences the balance, gait, and life quality of stroke patients. Therefore, therapeutic Tai Chi can be used as an effective exercise in combination with general physical therapy to improve the balance, gait, and quality of life in stroke patients. Evidence base of clinical studies on tai chi: a bibliometric analysis. PLoS One. 2015 Mar 16;10(3):e0120655. By Yang GY, Wang LQ, Ren J, et al . BACKGROUND: The safety and health benefits of Tai Chi mind-body exercise has been documented in a large number of clinical studies focused on specific diseases and health conditions. The objective of this systematic review is to more comprehensively summarize the evidence base of clinical studies of Tai Chi for healthcare. 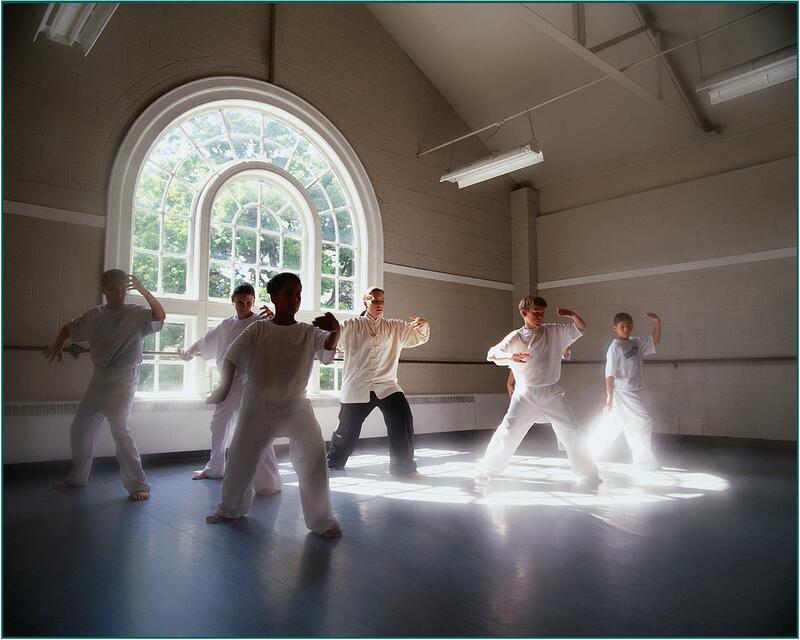 METHODS AND FINDINGS: We searched for all types of clinical studies on Tai chi in PubMed, the Cochrane Library and four major Chinese electronic databases from their inception to July 2013. Data were analyzed using SPSS17.0 software. A total of 507 studies published between 1958 and 2013 were identified, including 43 (8.3%) systematic reviews of clinical studies, 255 (50.3%) randomized clinical trials, 90 (17.8%) non-randomized controlled clinical studies, 115 (22.7%) case series and 4 (0.8%) case reports. The top 10 diseases/conditions was hypertension, diabetes, osteoarthritis, osteoporosis or osteopenia, breast cancer, heart failure, chronic obstructive pulmonary disease, coronary heart disease, schizophrenia, and depression. Many healthy participants practiced Tai Chi for the purpose of health promotion or preservation. Yang style Tai Chi was the most popular, and Tai Chi was frequently practiced two to three 1-hour sessions per week for 12 weeks. Tai Chi was used alone in more than half of the studies (58.6%), while in other studies Tai Chi was applied in combination with other therapies including medications, health education and other physical therapies. The majority of studies (94.1%) reported positive effects of Tai Chi, 5.1% studies reported uncertain effects and 0.8% studies reported negative effects. 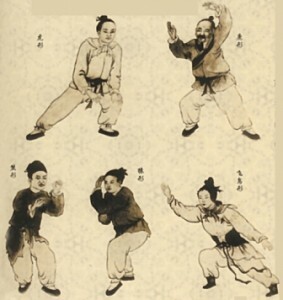 No serious adverse events related to Tai Chi were reported. CONCLUSIONS: The quantity and evidence base of clinical studies on Tai Chi is substantial. However, there is a wide variation in Tai Chi intervention studied and the reporting of Tai Chi intervention needs to be improved. Further well-designed and reported studies are recommended to confirm the effects of Tai Chi for the frequently reported diseases/conditions. 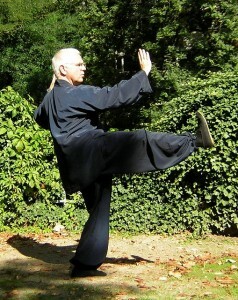 This entry was posted in Qigong, Research Update. Bookmark the permalink. I bow down humbly in the presence of such gresanets.